Rockin' to the Beat with Pete! I've heard that my friend Pete the Cat has become very popular with the PreK-1st grade crowd! 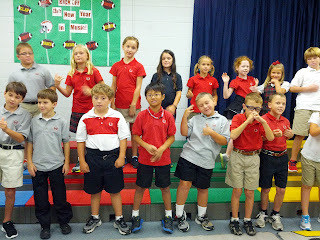 Last week, we read the book in class and then moved our bodies to the music that Pete sang. This week, Pete the Cat gave me the idea to add instruments to our singing. We used rhythm sticks to tap the steady beat of the music while we sang along with Pete. 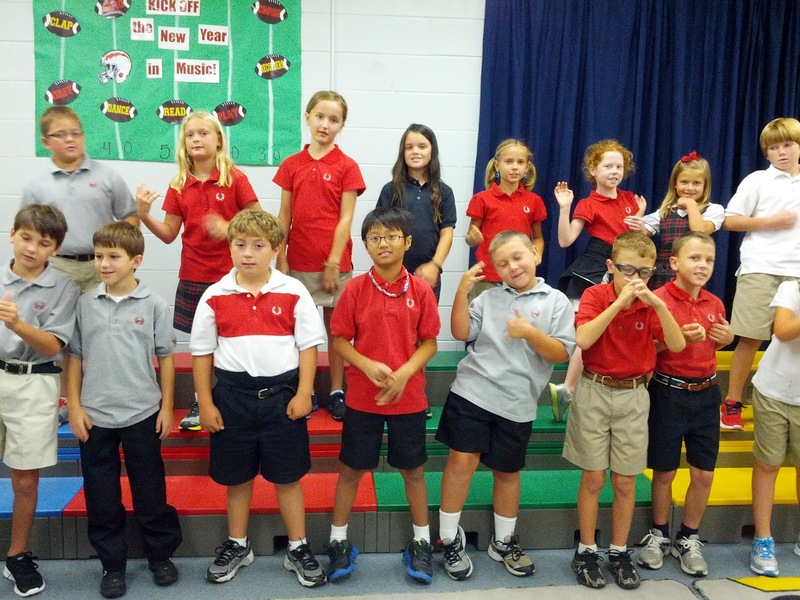 Click the video below to see 1st graders in action, singing and playing with Pete! Since Pete has proven so popular with the students, I'm planning on some more musical activities with him and his books. There is a new one due out right before Christmas, as well! And, I had one student tell me excitedly, "I'm going to ask for all the Pete the Cat books for Christmas!" What a great idea!! Every class starts off the musical year talking about the musical concept of steady beat. We listen to the beat of the drum and imagine our heart beating at a constant rate. Then, we talk about how music has a beat that keeps going and going and going. This is the steady beat, or musical pulse. It's what you clap to, tap your toe to, or dance to. With the students, we practice keeping the steady beat by patting, clapping, dancing, chanting a poem, you name it! One very popular steady beat activity we've been doing is the "finger dance." The students simple copy my movements with only their fingers. I have encouraged the students to try to find the steady beat to music they hear throughout the day--maybe on the radio on the way home from school or during worship at church. The steady beat is the foundation of our musical experience! 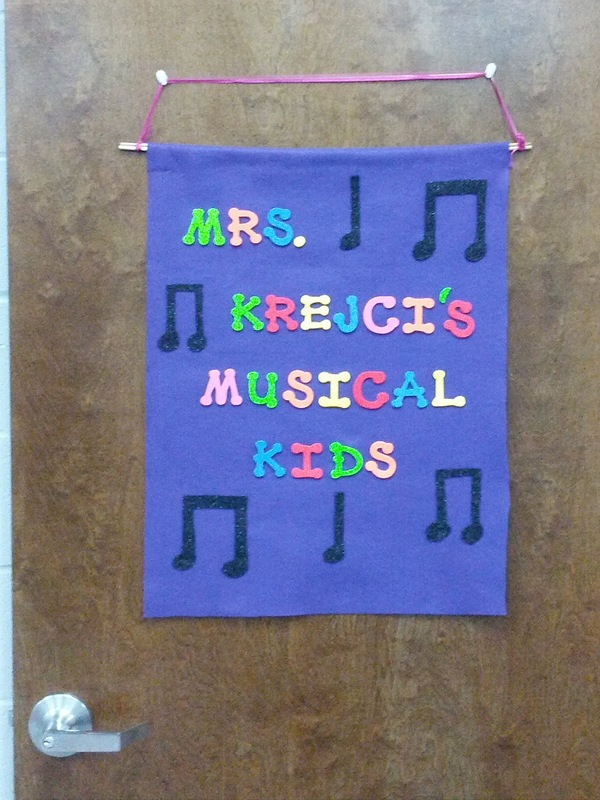 Music classes are underway for the year! We are in a new, temporary space in the Fine Arts building. 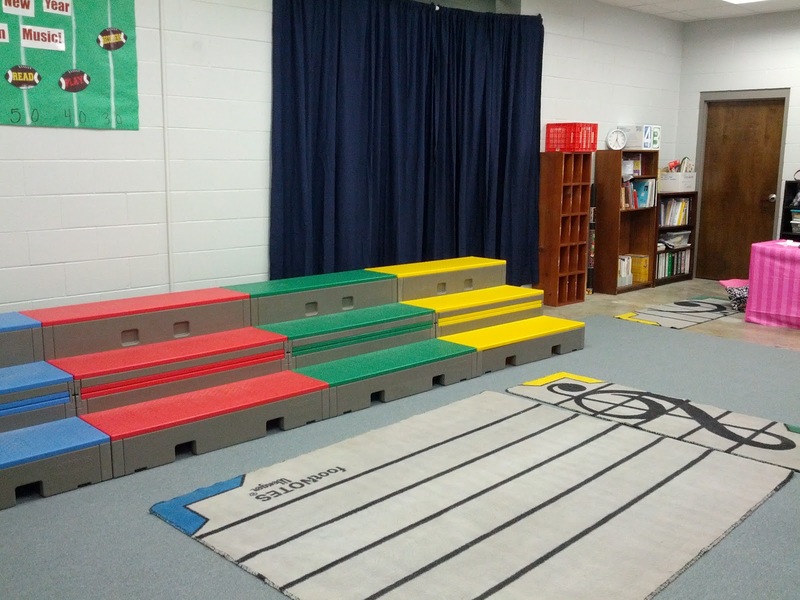 This will serve as the music room until the brand new building is complete. 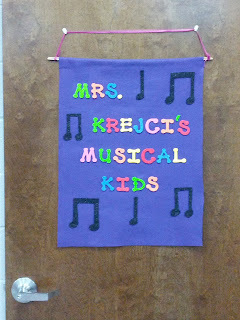 The first lesson of the year focuses on the rules and procedures for the music classroom. I use a system called Whole Brain Teaching (wholebrainteaching.com) that engages the brain of the students. Ask your child about Class/Yes, Hands and Eyes, or our CPR Rules! CPR Stands for Cooperate, Participate, and Respect. We also focus on steady beat, which is the "heartbeat" of music. All grade levels start with a "finger dance" to Strauss' "Pizzicato Polka." The younger students are grooving to the book Pete the Cat, Rocking in my School Shoes to get the feel of the beat in our bodies. The older students are working on keeping the steady beat while playing a name game--a camp favorite you might remember, "Who Stole the Cookie from the Cookie Jar?" I have been quite impressed by the musical abilities and behavior of our FPD students. I'm looking forward to a wonderful year!